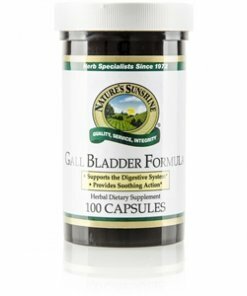 The herbs in Nature’s Sunshine Gallbladder Formula, oregon grape root, ginger rhizome, cramp bark, fennel seeds, peppermint leaves, wild yam root and catnip leaves, all nourish the digestive system. The combination of the powerful health benefits of these herbs soothes the digestive system and supports liver and gallbladder function. Instructions: Take two capsules with a meal three times daily. 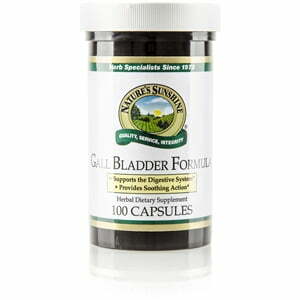 For best results use with Urinary Maintenance and Hydrangea.